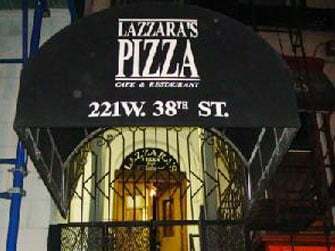 Your quest for the best-tasting pizza ends at Lazzara's Pizza Cafe and Restaurant! Nestled in the heart of the Garment District in New York City, our pizza restaurant is home of the thin crust pizza square where four corners are better than none. 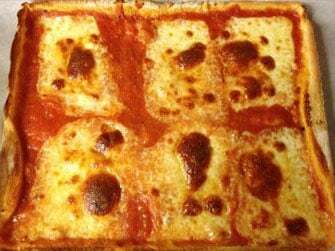 Visit us today and treat yourself to a square or two of your favorite pizza. Carefully prepared and cooked to perfection, our pizzas are served hot and fresh every time! Think outside the circle! We offer free delivery within a certain area. 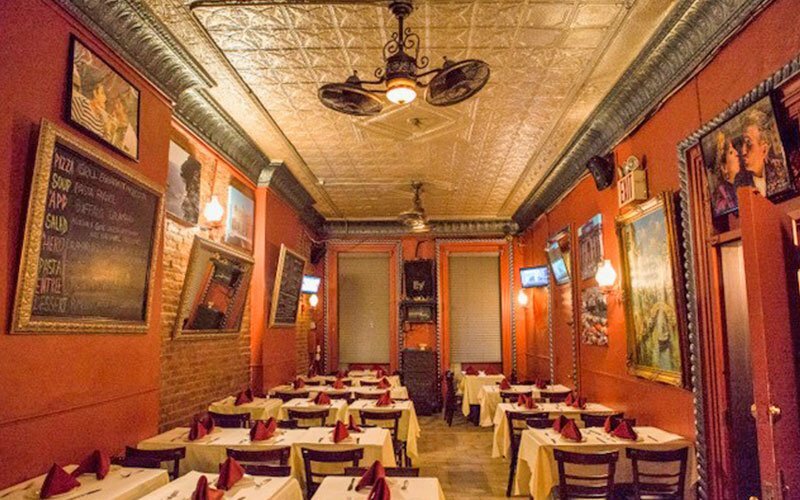 Lazzara's Pizza Cafe and Restaurant is best known in New York’s fashion district as a pizza restaurant that brings new flavors to everybody’s all-time pizza favorites. We serve oven-fresh creations brimming with the cheesy and tangy goodness people have come to love, plus a few more flavors to spice things up! Our signature pizza sauce, which we have perfected using the finest ingredients and spices, is sure to add delight to every diner’s pizza experience. Our pizza restaurant’s convenient location and heavenly thin crust pizzas and Italian dishes have made us the go-to place for customers looking for quick and filling lunch. 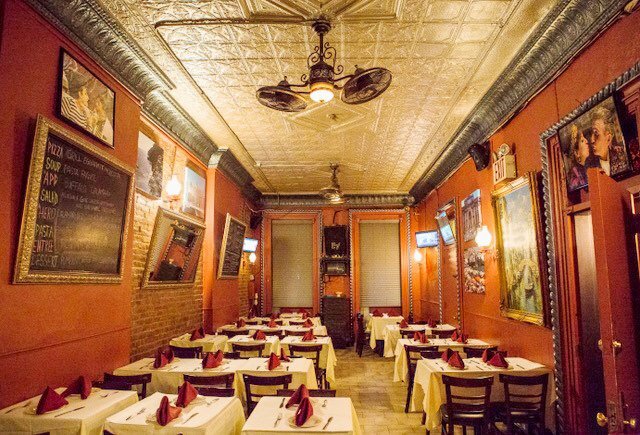 Located on the 2nd floor of a brownstone building built in 1909, our restaurant is packed all afternoon with a huge lunch crowd made up of new customers and beloved patrons from nearby fashion houses. If you can’t decide which place to visit for today’s lunch, come to us! You may also have your orders delivered at your doorstep. All the top designers order their lunch from us, and so should you! We are open from Mondays to Saturdays. 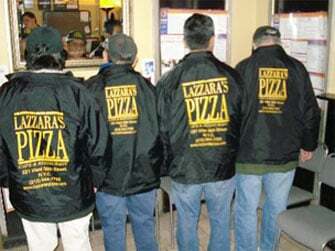 Why Dine in Our Pizza Restaurant? Sharing hearty laughter and lively conversations over freshly baked pizza with loved ones sounds great after a long, stressful day at work. Be it a simple family dinner or a much-awaited weekend get-together with friends, our pizza restaurant is the place to be for good food to make your night-out more wonderful! Dine in our restaurant and enjoy our pizzas. If you’re craving Italian food, we also serve Italian dishes that will satisfy your cravings. Browse through our website for more information about us and what we have in store for you! We look forward to serving you.